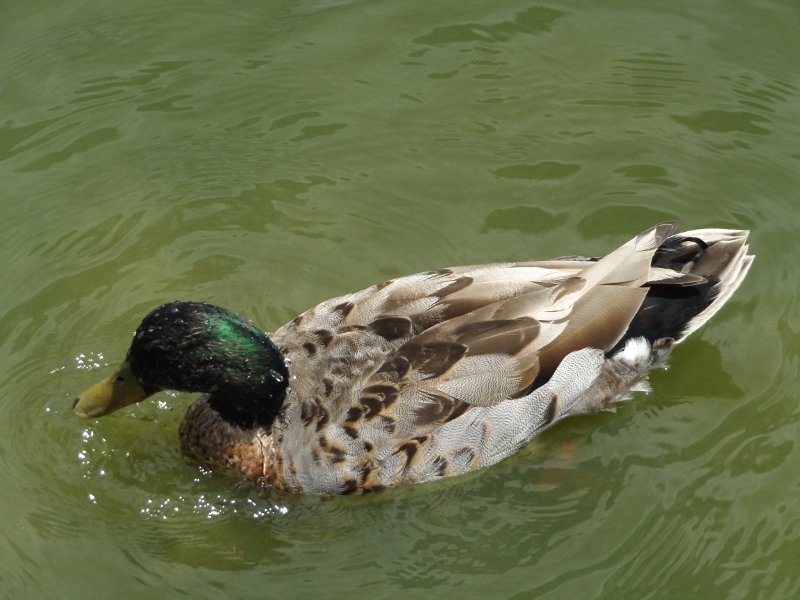 This young Mallard duck was having a good feed from beneath the water of the lake on Friday. 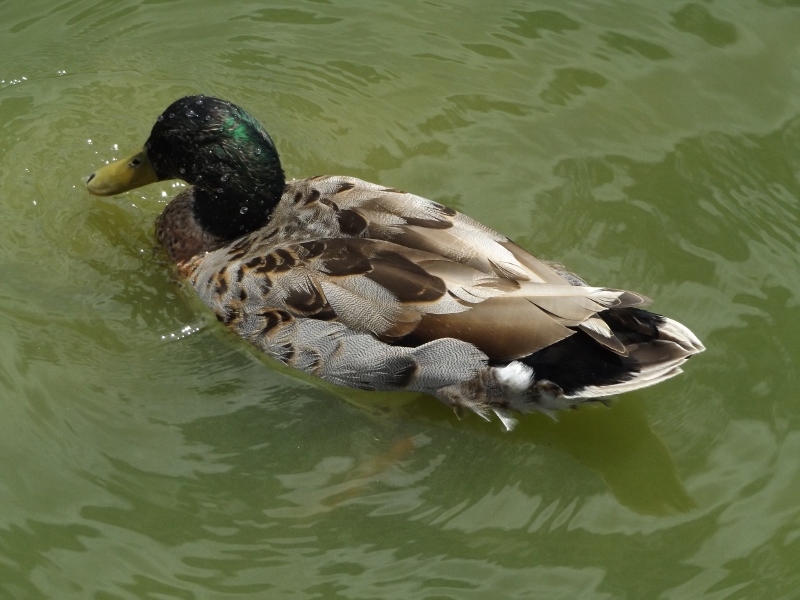 I loved the way the water flicked off his feathers but also the remarkably beautiful details, speckles and dapples of his changing plumage. 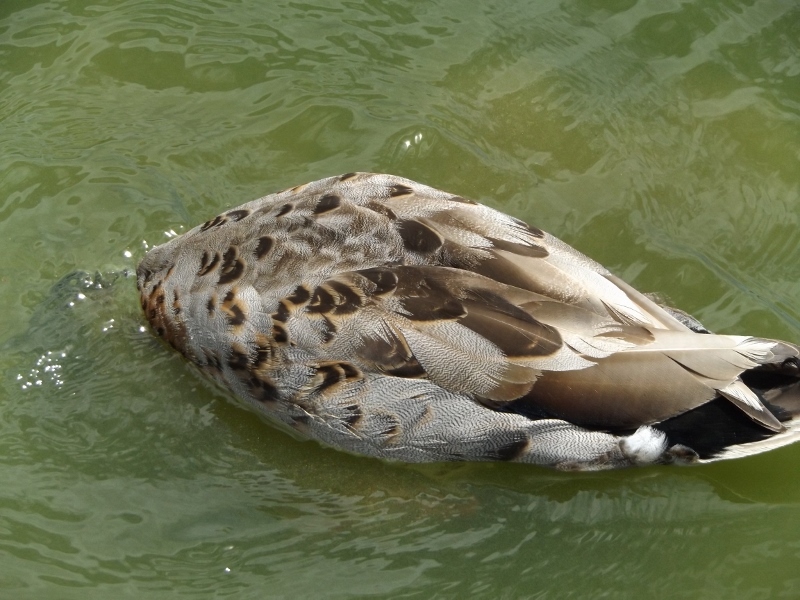 This entry was posted in Uncategorized and tagged ducks, feathers, Juvenile birds, Mallard duck, Mallard ducks, nature, patterns, photography, waterfowl, Whitby lake on December 7, 2014 by ordinarygood. 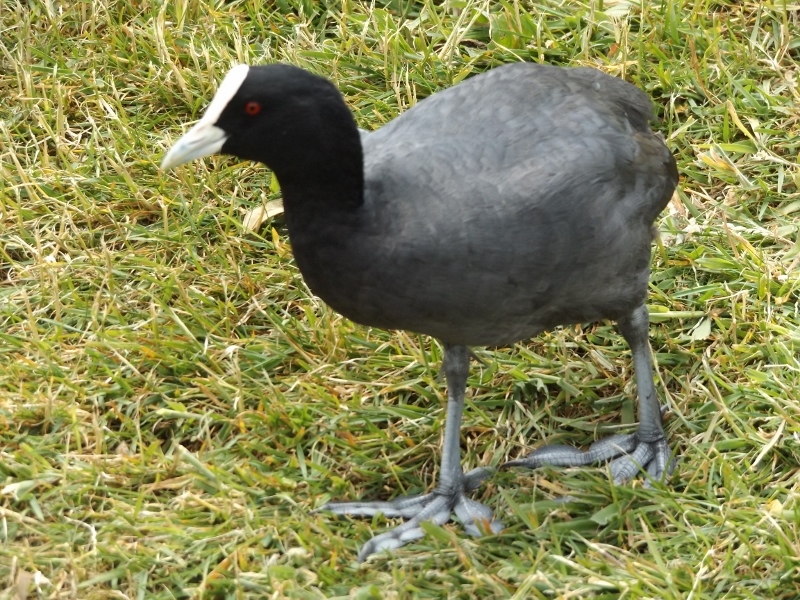 Before I visited the local shops I went down beside the lake to see the progress of the Australian Coot chicks which I have been following since my first post on 6th October 2014. I have blogged about them here, here, here and here. 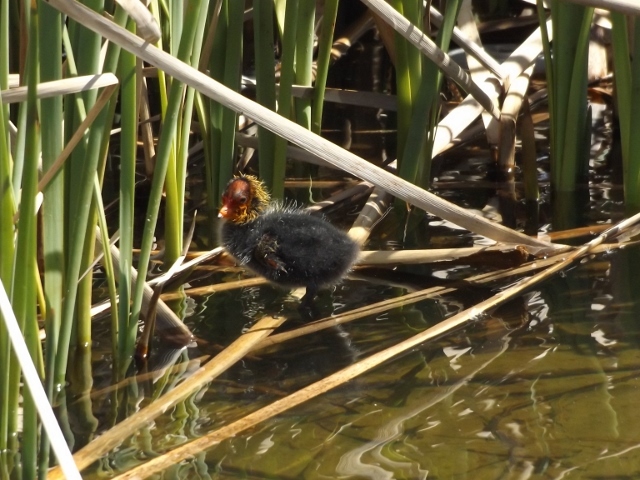 It has been a month since I visited the lake and of course the chicks have grown hugely in that time. 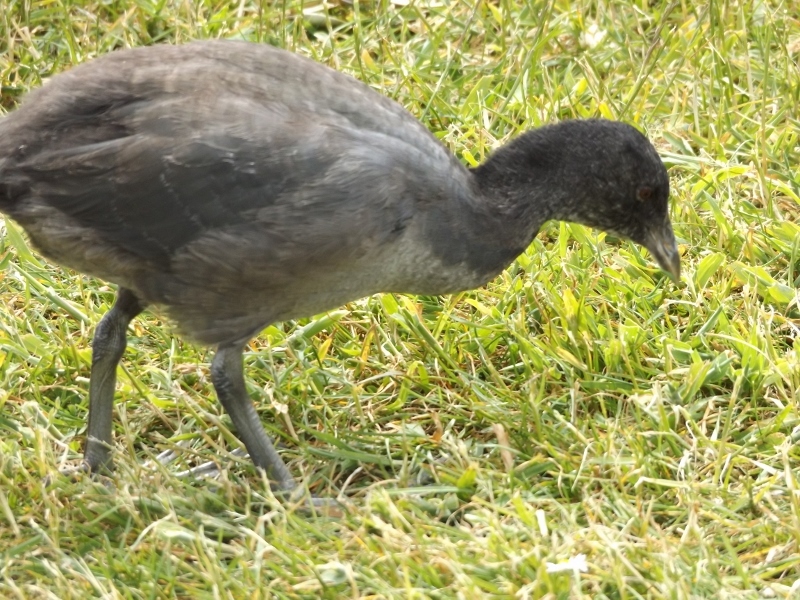 There were signs of greater independence from the chicks and greater reluctance to feed by the adults. 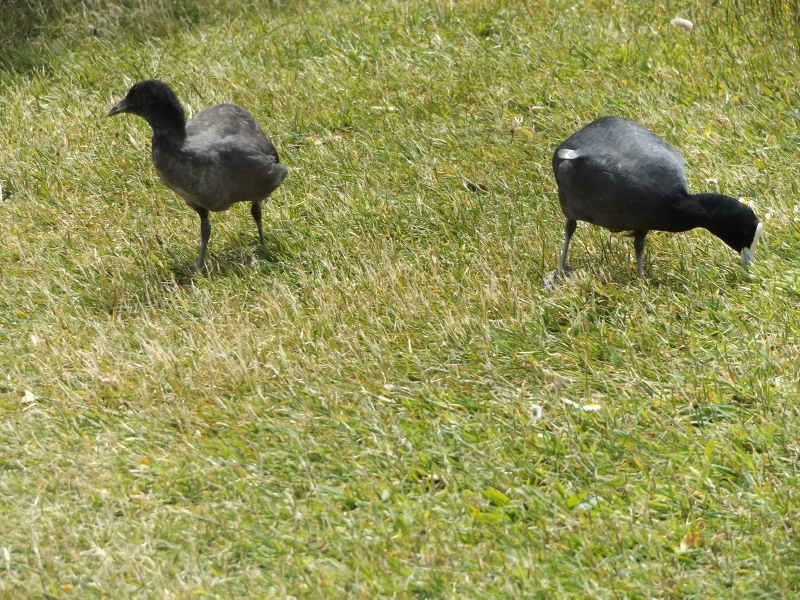 In a new move I found an adult and two chicks grazing on the grass alongside the path. As long as I stood very still they were very happy to pass close by me and for me to get a very good look at these remarkable birds. Constantly on the move meant anticipating when to click the shutter but here they are and look at those feet! 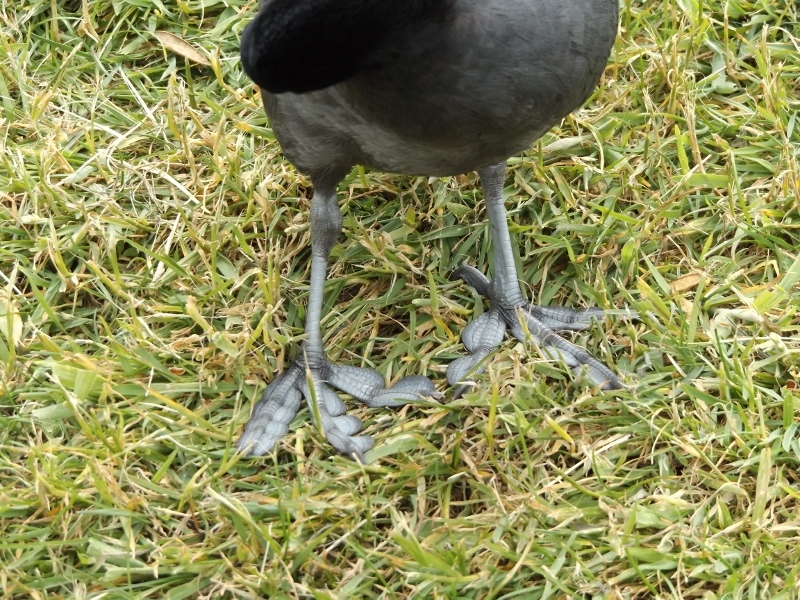 This close up photograph of the adult bird’s feet show fascinating webbing. No wonder they can zip through the water at speed when they want to. The feet of the young are very similar showing that nature prepares new generations very well for survival. Factor in such vigilant and devoted parents and these chicks have had a great start to life. 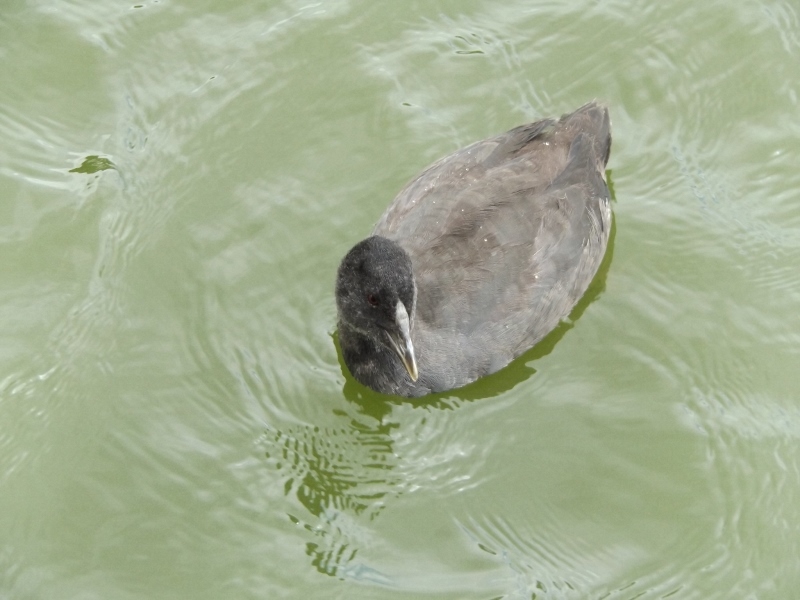 I’m looking forward to seeing the striking white beak and white marking above the beak emerge fully on the juveniles. 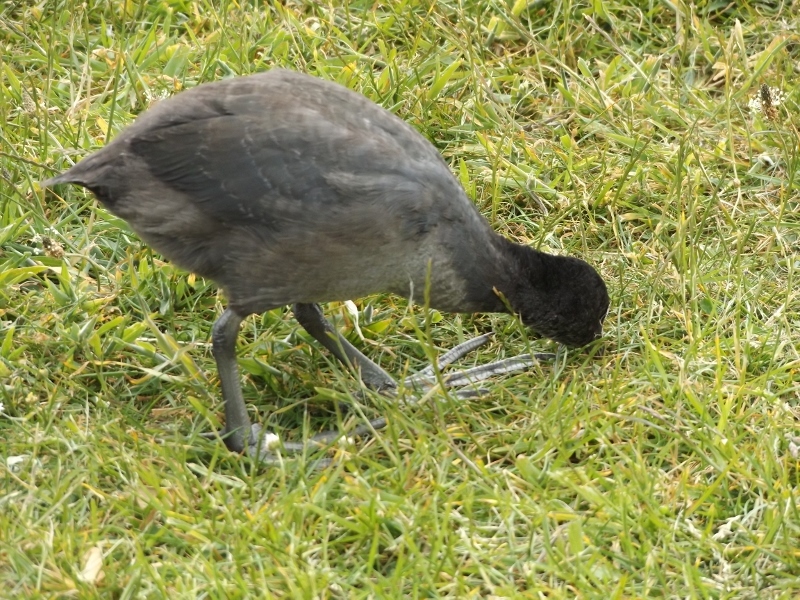 This entry was posted in Uncategorized and tagged Australian Coot, Australian Coots, birds, Birds in New Zealand, chicks, Juvenile birds, nature, photography, waterfowl, Whitby lake on December 6, 2014 by ordinarygood.